I’m feeling drained this New Years. In fact, I blew off my resolution to join a gym so I could stay home and drink wine. I feel stressed because my kid wants to take part in the school science fair. From the moment I picked her up from school, I was overwhelmed. We returned from a vacation late the night before, so I had groceries to put away, dishes to clean, dinner to start, laundry to begin and a middle schooler who needed help with her math homework. My 3rd grader was now demanding I understand the excitement of science fair? She insisted I arrange playdates to recreate experiments from you-tube and get her signed up for science fair NOW! If that wasn’t enough, she was adamant that we go to the store and get tonic water and potato starch right away, so she can make glowing slime. What kinda of sadistic elementary school sends out a science fair flyer the Monday after a two week break? My usual New Year’s goals include plans to put the Christmas decorations away, clean up the mess and exercise. My 3rd grader shut those down with her wish to play (whoops, I meant participate) in the science fair. My child is excited about “science fair”, but I’m not. My 3rd grader needs constant interaction with people and prefers team work, therefore, she arranged to partner with two other children in the science fair. After a few outlandish science fair ideas, the group of three settled on making cat shaped gummy bears. Not an easy project for an eight year old. The only redeeming quality about that idea is that it has to do with food. Science fair is everything I hate about the portrayal of science. Why do schools insist science has to be flashy experiments? Science is about the right questions and answers. Outlandish experiments that require resources and skills that young children do not have, force parents to spend time and energy modifying their kid’s dream project to a reasonable project. 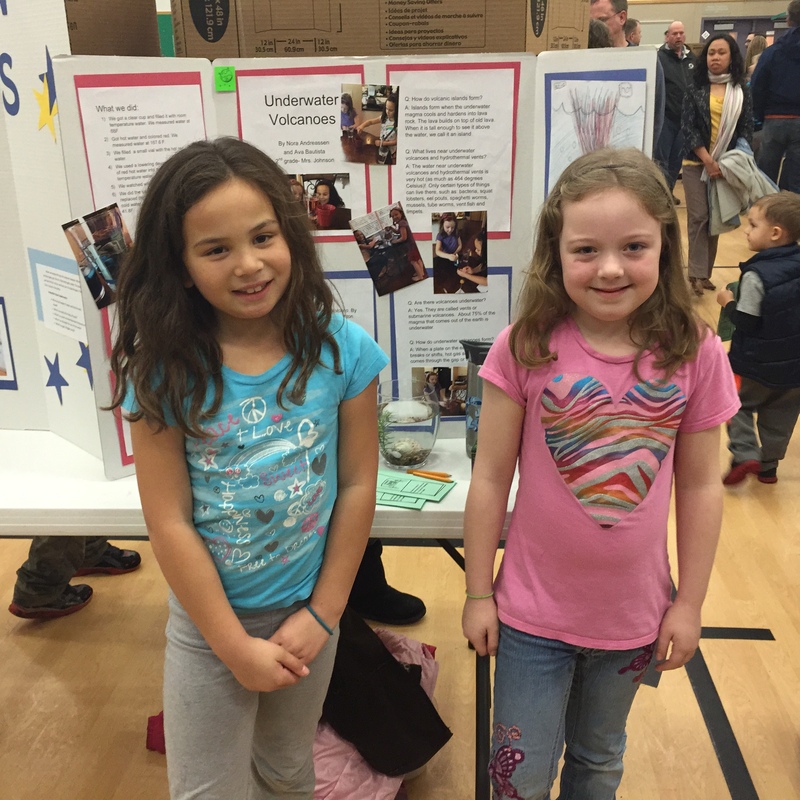 Science fair is for extroverts who like to show off and make science “exciting”. Science is a curiosity to understand things. I am of the opinion that science is most interesting and fun when it involves food. What happens when you leave the milk out of the refrigerator? Do you really need eggs in cookie recipes? What’s the taste difference between gluten and gluten free bread? As a kid, my favorite book series was ” I Wonder Why?”. It made me feel ok about my questions and my infinite curiosity. My perfect Science Fair would be themed “I Wonder Why?” and would feature children talking about their questions and trying to find answers. I’ve made little progress teaching my child science. She told me she already knows why popcorn pops and it’s boring. Maybe there is hope and when we make “glowing slime” she will have questions about tonic water? 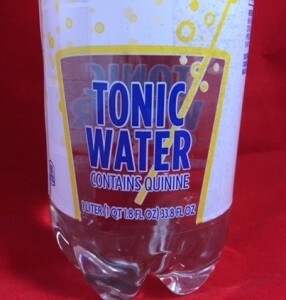 I have experience formulating tonic water and it would be interesting to explore bittering agents: quinine, caffeine, gentian root extract, and naringin. Is one of the bittering agents important for “glowing slime”? If I tell her bitter is the “In Flavor” will this be flashy enough? Underwater Volcanos. Girls completed project on their own with minimal parental support. The most puzzling fact I learned about tonic water is the great amount of sugar it really has. Now there are “diet” brands of tonic water with sweeteners instead of sugar. Still, it makes me want to experiment with quinine, water and flavorings but no sweeteners. I wonder whether a nice drink can be blended that way. I guess the amount of bittering agent would have to be much less (that’s a win-win), but even then, maybe the bitter taste on its own, without a sweet counterpoint, would not be palatable enough. On the other hand, an acid note (like citric acid) may do the trick. Good luck with that science fair project! Hi Martin: Great questions and insight! I made a tonic beverage base in the mid-1990’s, so I don’t remember the brix or percent sugar. Was it 15-20%? I do remember that quinine was expensive and it was the “limiting factor” for winning the account (copying the flavor at a lower cost). I was successful, because I found another bittering agent at a lower price. I’m kicking myself for not keeping notes on tonic water. When purchasing tonic water for the science experiment, I decided to stay away from “diet” because of concerns that it would influence the experiment. Right now, the girls are comparing water to tonic water. I believe diet tonic water would behave differently than tonic water and I’d like to convince the girls to test that hypothesis as well. My choice for a diet tonic sweetener would be saccharin, which I consider bitter and would allow you to formulate with less saccharin. Saccharin also has the benefit of being an extremely inexpensive high potency sweeter. Bitter is a very difficult flavor to copy. Our senses get burn’t our quickly and a good method of evaluation needs to be established. Have you had problems with this as well? Well, to be honest, I haven’t even started experimenting with quinine and homemade tonic water yet. I’m still trying to figure out the basics of homemade soft drinks, such as getting the essential oils to dissolve in water without forming a cloudy mix. It would be great If you can give me some tips and tricks there. By the way, I expected triacetin to be almost tasteless, but I found it surprisingly bitter. Is that normal? The second link mentions tonic water along with a few other soft drinks, and its main topic is about how the sugar content of the “same” drink varies across different countries, with the US having by far the most “sugary” Schweppes tonic water (45 gr per 330 mL serving, versus 17 in the UK and 16 in Argentina, the lowest of all), which in itself is quite interesting. Hi Martin: Thanks for the idea for a post on solubility. If you can obtain terpenless essential oils, this is a good place to start.I would consider diluting terpenless oils in propylene glycol as a dispersant. If the oils need more stability, try an emulsifier, like tween-60 (polysorbate). Polysorbate is bitter, so it would be good in a tonic flavor. I use triacetin for oil soluble flavors, not for beverages. I remember triethyl citrate being the most bitter solvent. In fact, some unscrupulous flavor companies sell triethyl citrate as coffee flavor (since it’s so bitter). Thank-you, thank-you, thank-you! Sucrose octaacetate (FEMA 3038), it’s inexpensive and an excellent bittering agent. The generic version of tonic water I purchased didn’t glow much(much to my kid’s disappointment). This might be a clue as to which bitter compound was used as what quantity. Hi Charlie: It sounds like this product must be very tasty.I’m curious if it’s cool or spicy or “what”? It must be good. Sorry for asking an off-topic question (related to one pleasantly wet soil-smelling intermediate I am working with right now): Please do you know any online source where could I look up a list of known flavor and fragrance compounds with earthy geosmin-like smell? I know that one such compound is ethyl fenchol (it has been added in trace amount as a note in flavoring some tobacco products; it even comes in Kosher grade), and I was curious if there is some more comprehensive source/review on earthy-minty compounds – so that I could look up my dirt-smelling little compound. Thank you! I have experience formulating tonic water and it would be interesting to explore bittering agents: quinine, caffeine, gentian root extract, and naringin.